Islam Around Us: Officials: Bomb kills pro-Qaeda commander in Pakistan. 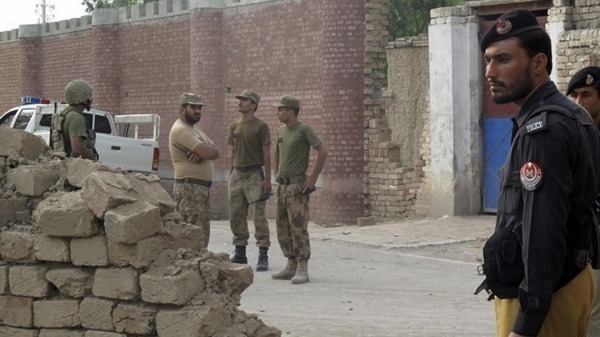 Officials: Bomb kills pro-Qaeda commander in Pakistan. Peshawar | AFP | 23 Aug 2013 :: A militant commander who sheltered Al-Qaeda fighters was killed on Thursday by a roadside bomb along with four associates in Pakistan’s northwestern tribal belt, security officials said. Ghulam Jan Wazir died on the spot when his vehicle hit the bomb in the Sholam area, five kilometers (three miles) west of Wana, the main town in South Waziristan district on the Afghan border. “He was anti-government and well known for his support to foreigners,” the official told AFP on condition of anonymity. Local residents also said Wazir had a reputation for harboring Uzbek, Tajik and Central Asian militants in the past. Wazir returned to South Waziristan last year after reaching a deal with the Nazir group, before Nazir was killed in a U.S. drone strike in January.